Wrexham will be without the injured Rhys Taylor, Javan Vidal and Jon Nolan when they face Aldershot on Saturday. 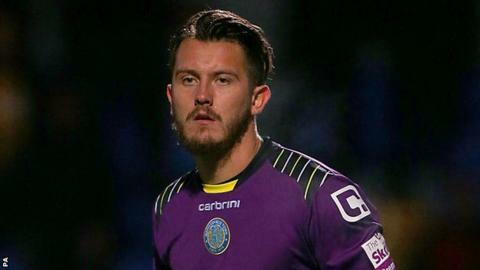 Goalkeeper Taylor, on loan from Newport, is suffering with a dead leg while on-loan Lincoln City midfielder Nolan is out with a hamstring injury. Defender Vidal suffered a groin injury before last Saturday's 4-0 win over Gateshead. "We've gone from a fully fit squad last Saturday to a few out this Saturday," Wrexham manager Gary Mills said. "It means changes but that's what the game is." Wrexham are eighth in the National League after winning their last three games and within two points off the play-off places.